I had this great idea...but I needed my DH's help to make it happen. 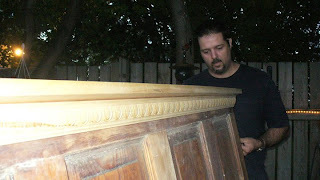 We had an excess of old solid wood doors from the house after the renovations. We knocked out walls, so the doors were not needed anymore for the intended purpose. Also, we were in need of a proper headboard. Perfect!! 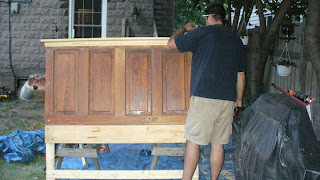 Here is anold door converted into a GREAT headboard. Just attach legs, & a little paint & voila! 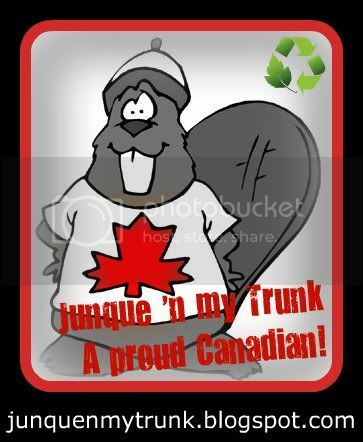 Now we must change the hope chest at the end of the bed to my trunk! 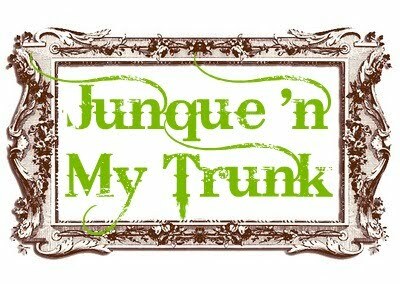 Is this the trunk where I keep my "Junque"??? 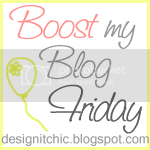 I am linking up here: Check it out! Love this project! 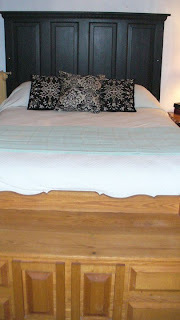 The headboard turned out terrific! What a great post for Earth Day, too! Thanks for sharing and for linking up to my party. Fantastic work done.This true creativity.Nice post.Keep it up.Meanwhile plz do check my blog on freeing your mind read it,follow,be inspired and comment to improve my works too.Have a wonderful day.Thanks. 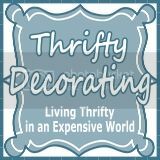 Such a delightful blog! Soooo happy to have found you. I'm here from Debbie's Newbie party to welcome you and I'm your newest follower. Pop over for a visit sometime and have a blessed Easter. 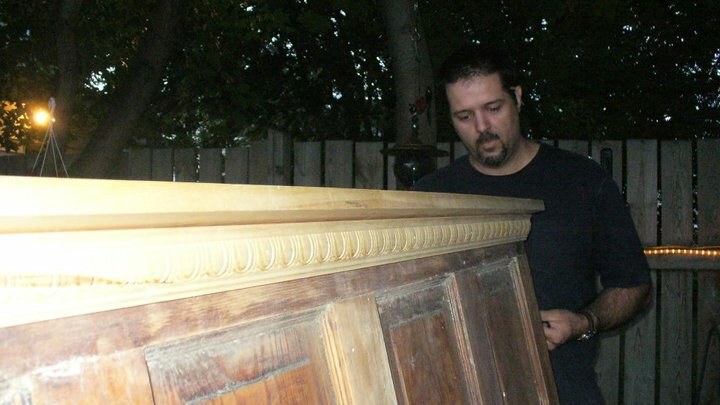 I love to see old doors re-used. They have such great character! 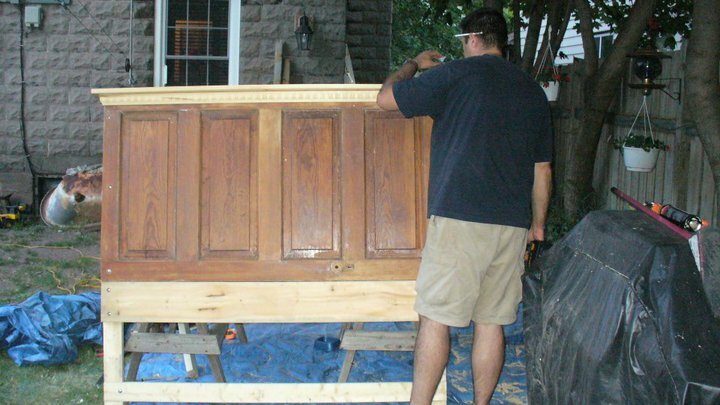 I have one that just sits in y bedroom...I tell the kids its the door to Narnia. :-) Thanks for visiting Red Hen Home! Wow! The headboard turned out beautifully! I also love all the changes it inspired! Thanks for visiting me! This is an awesome upcycle! Great color choice too... black, simple, elegant. Gorgeous! What did you use for the shelf and the detailed piece under the shelf?